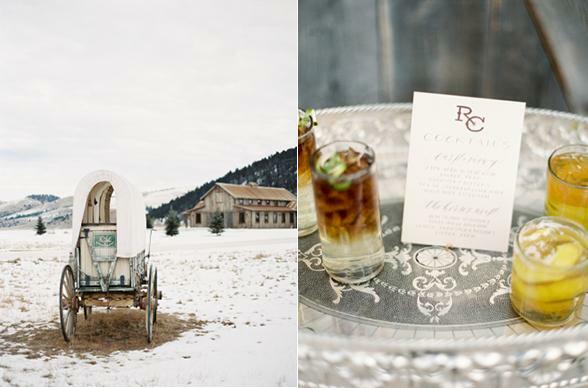 New Year’s Eve is one of our favorite holidays here at the Venue Report. Why? Because it’s celebrated by nearly every culture around the world. In Iceland, people burn big community bonfires to get rid of the past year’s bad juju. In South Africa, people parade through the streets in costume. In Newfoundland, people share poetry over a gunfire salute. And in Miami, well, in Miami people party like rage machines. We’ve covered all your New Year’s celebration possibilities, from California glamping to luxury hotel stays in the Maldives, from African safari adventures to late-night parties in Los Angeles. If you can't make it this year, save these for your dream gatherings and getaways for next year! So, here’s to a brilliant 2016, filled with more opportunities to travel, gather and explore! 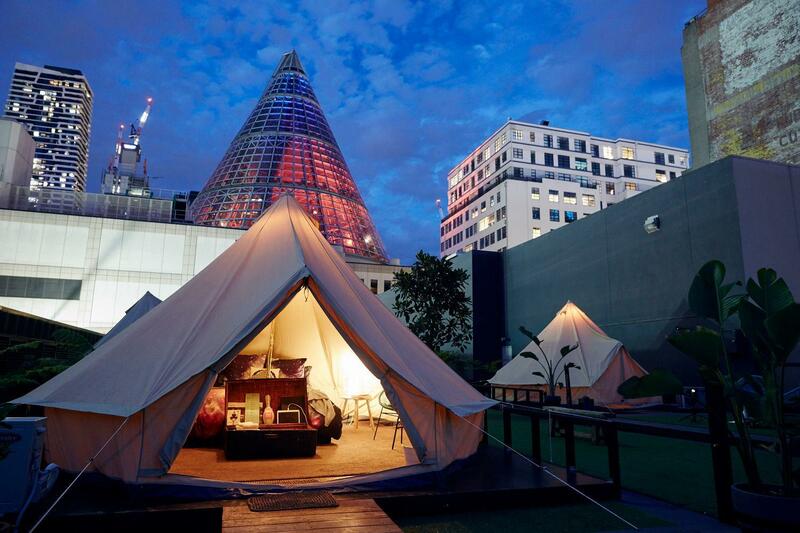 Popped up on a high-rise rooftop in downtown Melbourne, these 20 bell tents decked out in top-notch linens and décor would be quite the place to crash after a crazy New Year’s Eve party in the city. As the experience is all a bit surreal, what with a bustling urban setting down below, one of the major highlights of this glamping outlet is watching the sunrise over the whole city. 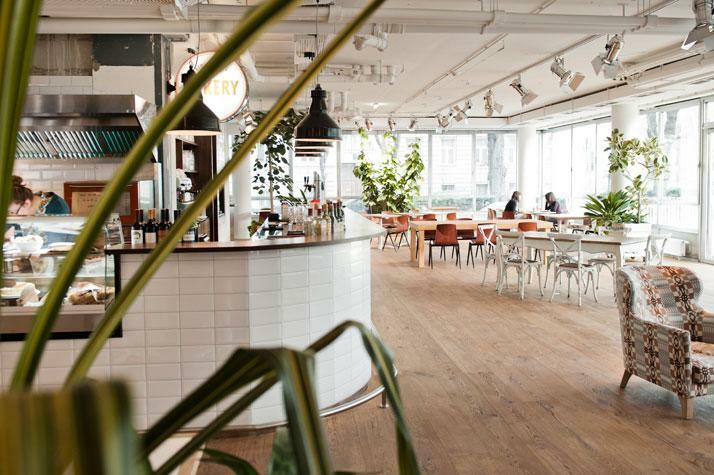 We’re willing to bet you’d also make some pretty great new friends to take into the new year in this rad communal environment. Marfa, Marfa, Marfa! Marfa gets all the attention for good reason, it’s a place freeze-framed in time and quite an idyllic little artsy community. 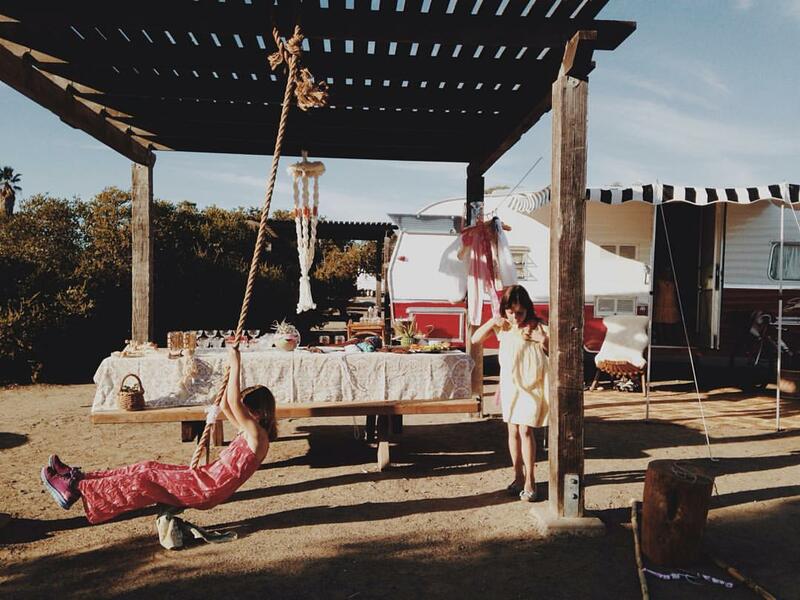 With 18 acres of desert life to wander, you’ll have plenty of shelter options at El Cosmico, from trailers to teepees to yurts or even self-camping for the pros out there. The NYE Scoop: DJs, signature drinks, snacks, photobooth, champagne toast and the first ever ball drop, rigged up by the welding students at Marfa ISD. New Year's Day Brunch to follow, with live music. If a throwback to the 1960s is calling your name, this retro RV destination in San Clemente State Beach is a surfer’s paradise. Get a few from your crew together to explore the sand and surf this area is famed for, and your New Year’s Eve can be spent around a campfire with fireworks, s’mores and airstream lovin’. 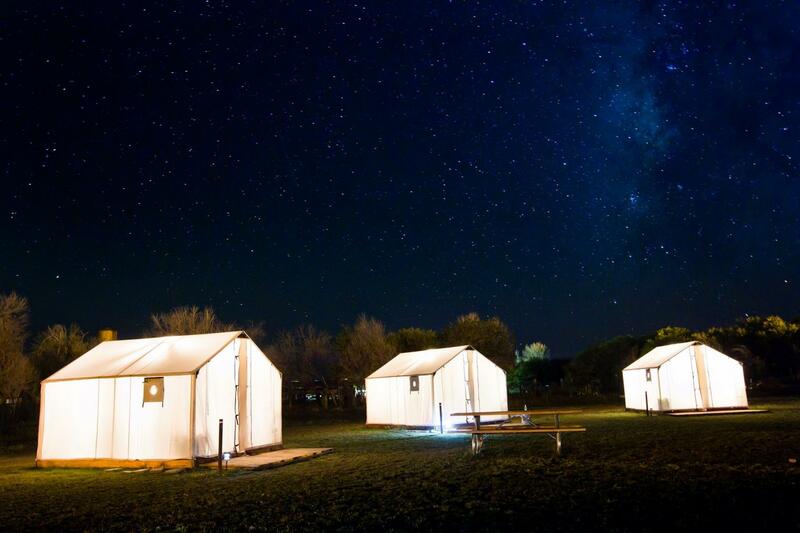 Dubbed, “The Holidays,” this kitschy camping experience could be just the right way to wrap up the year. Ah, Dunton Hot Springs, how we love thee so! 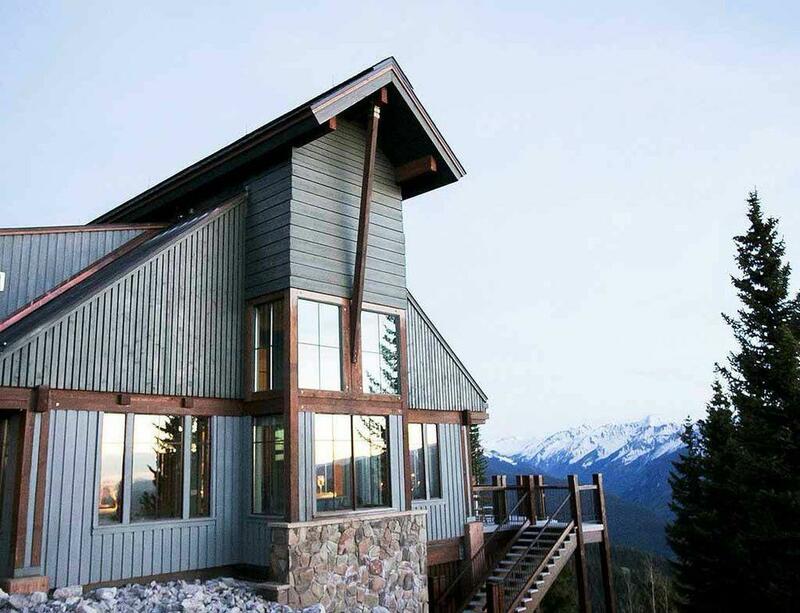 A dream getaway for the winter adventurer, Dunton has the most quaint log cabin lodging. When this place is dusted in snow, it’s hands down one of the most romantic places we know of. The NYE Scoop: They are offering a NYE package! Stay four nights in a hand-hewn log cabin, and count down to the new year with a party including a midnight fireworks display and live music. On New Year's Day, you will enjoy a delicious winter brunch from the award winning culinary team with caviar blinis, premium vodka and a soul warming fondue. Taking your New Year’s Eve smooch in the 19th century bathhouse, staring up at the stars sounds like some next-level situation. 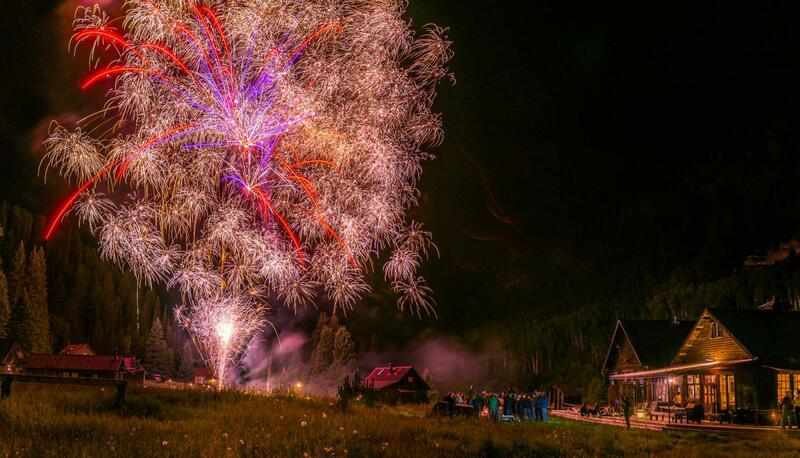 And then they top off the experience with a fireworks display in this old ghost town turned resort. Winter, we might be okay with you after all! 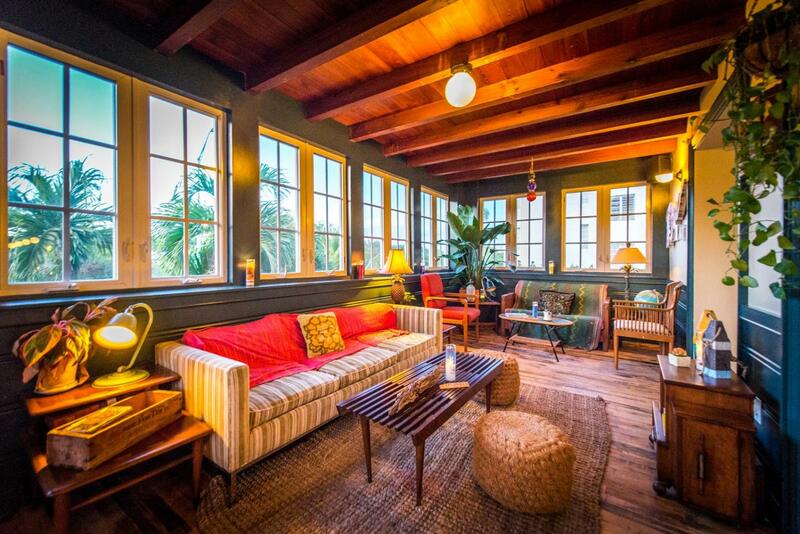 Newcomers to the treehouse lodging scene, Playa Viva opened up their treehouse in October. 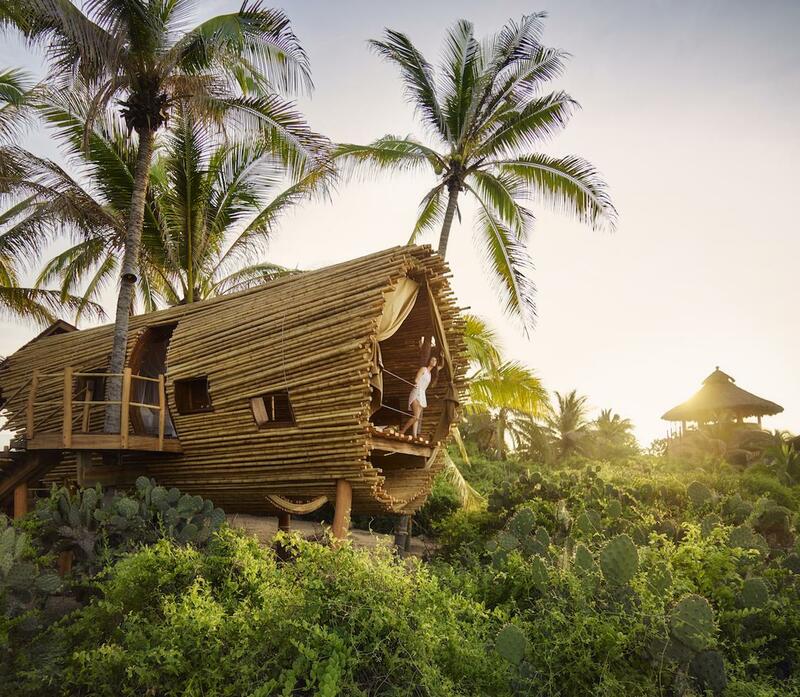 A rounded bamboo structure that sits 6 feet off the ground, this little crash pod is complete with a hammock and views of the ocean. This is exactly the kind of place you’ll want to be if you’re looking for a relaxing, healthy vacation, away from all the hustle and bustle of everyday life. If you’re on the hunt for a new start in the new year, this wellness-focused getaway is offering a week-long retreat in mid-January, so be sure to sign up ASAP. 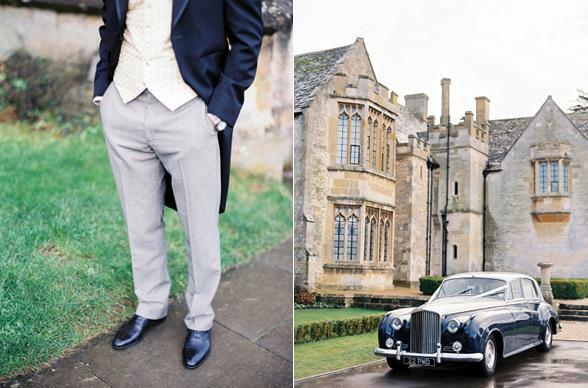 Heading out to England for a little jaunt across the pond? 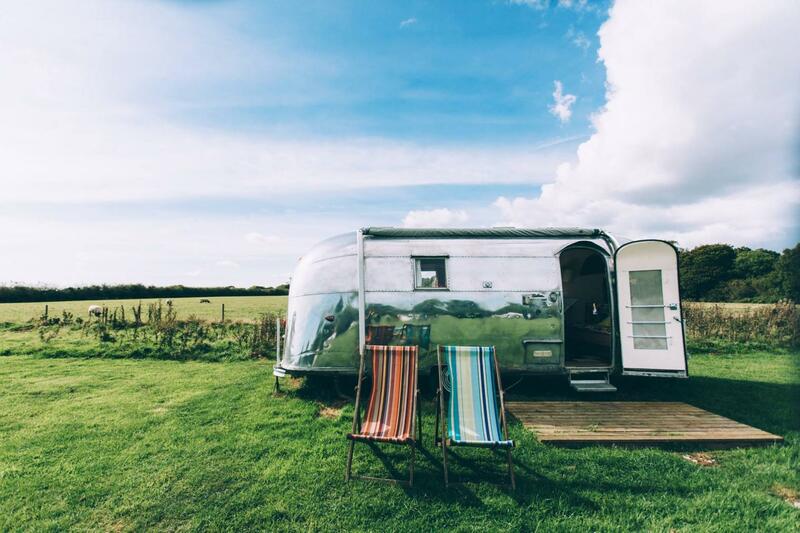 The British Isle of Wright is home to this authentic collection of silver bullet caravans, set right on the ocean side. Since it feels like time stopped moving here about five decades ago, Vintage Vacations is the prime spot to cozy up with a loved one and enjoy the throwback. Who needs next year when this one is so good? Big Sur’s Post Ranch Inn is a great destination for the luxury lover who’s looking for the feeling of being in a treehouse minus the rustic vibe. The views from this resort are phenomenal, as the rooms are perched right on the cliff-side overlooking the Pacific Ocean. With all the beauty of Big Sur right out your windows, this would be a spectacular place to watch the final sunset of 2015 and first sunrise of 2016. We’re always saying dinner parties are the best way to spend a New Year’s Eve and the pop-up supper club at this 16th century Manor in the English Countryside is no exception. The NYE Scoop: Check out Ellenborough Park’s temporary supper club at the Hunter’s Lodge, going on through the end of January. Expect lots of good gamey meats, like venison, with amazing accompaniments like homemade chutneys and killer cocktails. Top of the Standard is basically always the place to be, perhaps more so on New Year’s Eve since Nile Rodgers and Chic are doing a show there. The space practically illuminates with the fireworks on the Hudson. Rooms at the High Line are cool, mod and retro at the same time. The views here are a major draw and the idea of doing all the partying and crashing in one spot is kind of amazing. What better place to set your intentions for 2016 than at a luxury wilderness camp in India? 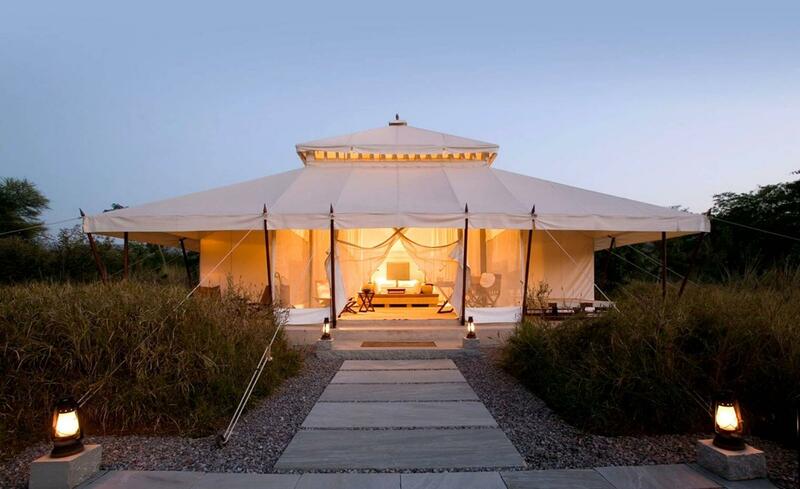 In typical Aman Resort fashion, this chic encampment is as glamorous as it is secluded. A magical little sanctuary out in the brushwood forest of Ranthambore National Park, this is one of the best places to spot Royal Bengal Tigers in their natural habitat. The NYE Scoop: And what’s more New Year’s Eve than toasting champagne flutes, while riding in a caravan searching for tigers? It should come as no surprise that the Napa/Sonoma wine country loves a good New Year’s party. 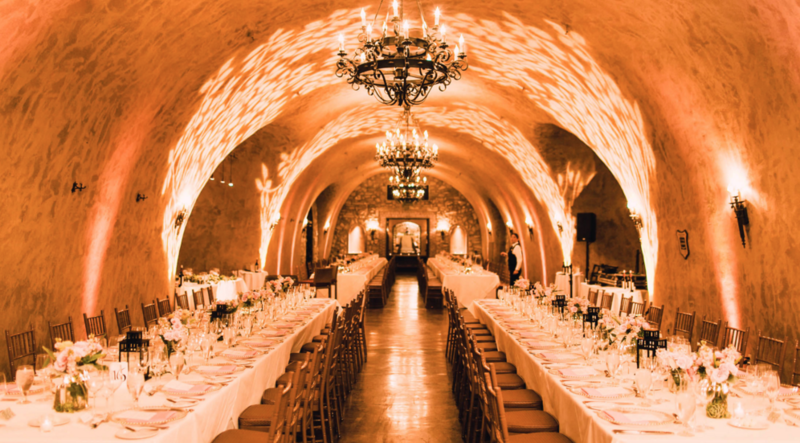 The NYE Scoop: A candlelit multicourse dinner at Trinitas Cellars Estate Cave would be a lovely start to the evening, followed by a jaunt over to the big NYE party in the wine cave at the Meritage Resort and Spa. 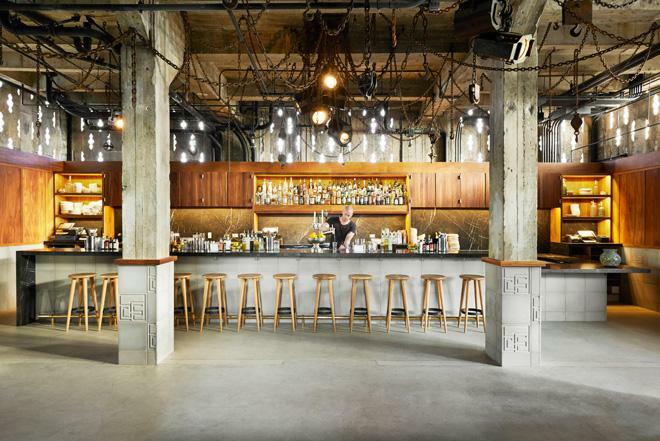 It’s a perfect combo for anyone looking to party and crash in one spot, surrounded by tons of music, food, wine, and friends. 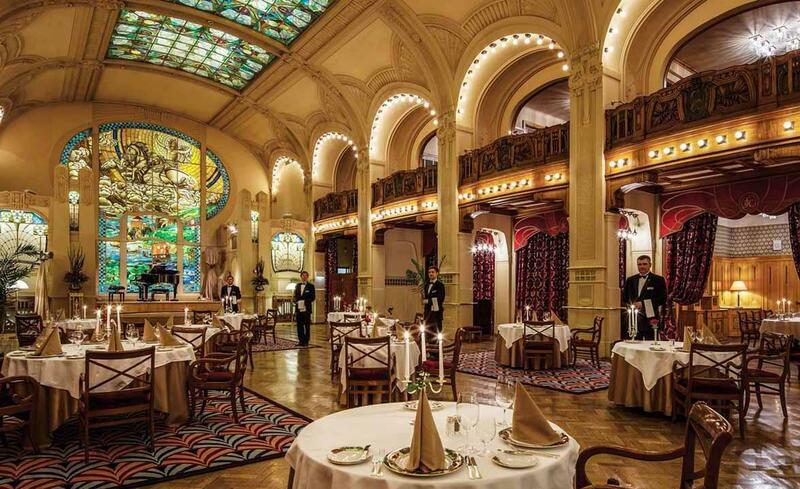 Renown for its epic celebrations, Vienna is the ultimate place to round out the New Year. The NYE Scoop: Think open-air markets, loads of mulled wine, fireworks over the Wiener Prater amusement park, and a New Year’s Day concert by the Vienna Philharmonic, all in the city’s center. The nearby Hotel Daniel is a very cool modern boutique hotel with quite possibly the most beautiful airstream we’ve ever seen. When you wake up with your NYE hangover, there is an onsite bakery for greasy goods. Hello, 2016! 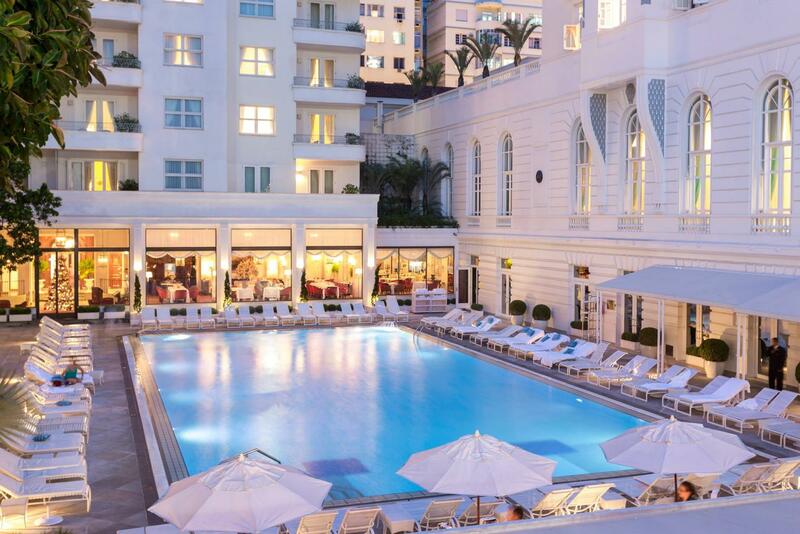 Sit in the lap of Brazilian luxury at this art deco palace in Rio de Janeiro. Belmond Copacabana has long been known for its incredible parties and the New Year’s Eve festivities certainly live up to their reputation. The NYE Scoop: Their annual Réveillon party is one of the best spots in town for fireworks, live music, dancing, and incredible food. Belmond has been around for almost a century, with a pool deck and beachside location that do not disappoint. Don’t forget to pack an all-white outfit if you go – it’s a Brazilian tradition for NYE attire. Come the end of December, Reykjavik is only seeing about four hours of daylight, so a reprive from the darkness is a major celebration and fireworks light up nearly every corner of this town on NYE. The tradition here is to gather around big communal bonfires, symbolically burning away the past year’s troubles, with singing and dancing celebrating what’s to come. The city puts on a big fireworks show around midnight and the clubs and bars go crazy from that point onward. 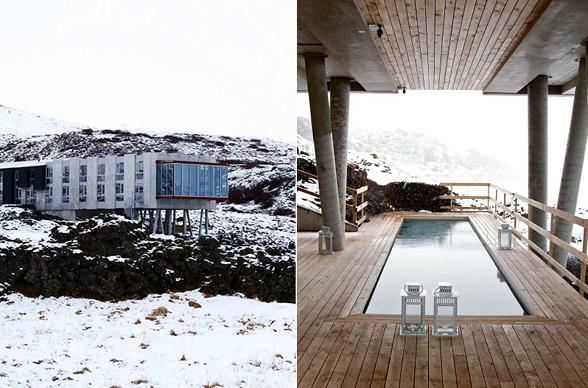 A design-centric hotel, the Ion Adventure Hotel is the perfect place to burn off the next day in the lava fields and hot springs just outside of town. This is also prime watching ground for the Northern Lights. 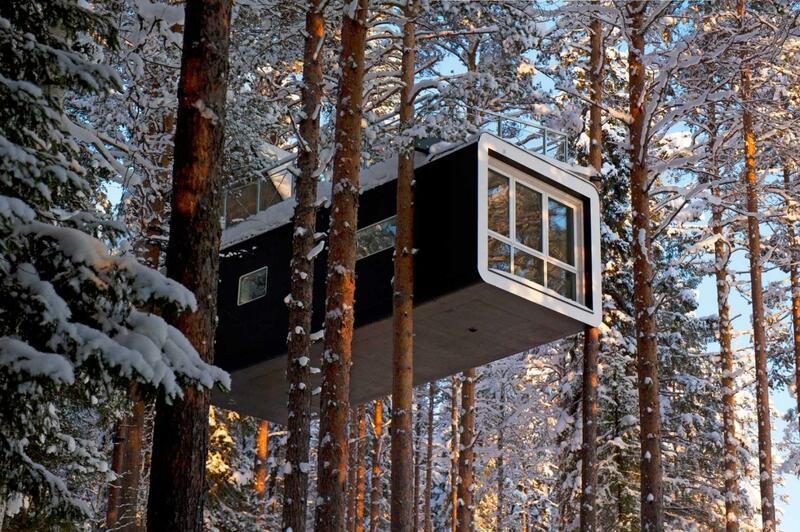 Famed for its eco-chic designer treehouses, each with a different design approach, Sweden’s Treehotel is about as off-the-grid as it gets. If you’re looking to spend New Year’s Eve snuggled up in some trees and overlooking the Lule River, this is the most adventurous and serene place to be. Plus, if you’re really looking to geek out, one of the treehouses is a UFO. Doesn’t get any more futuristic than that! 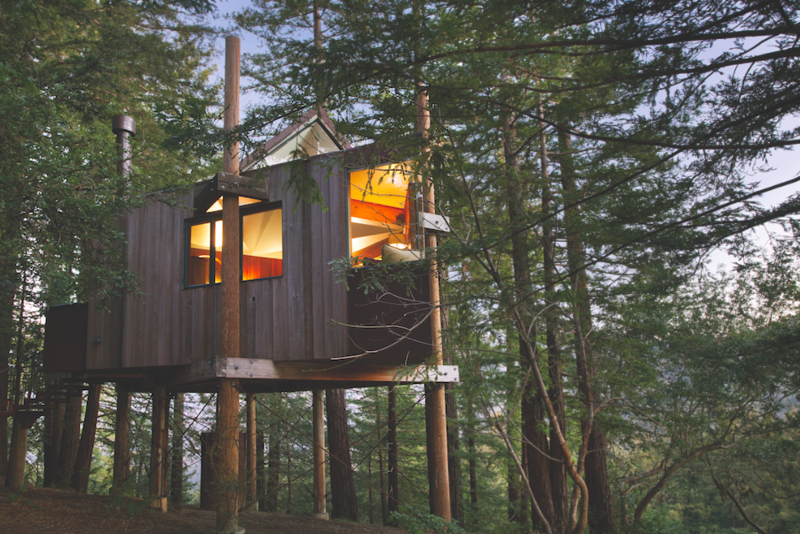 Has anyone ever grown out of their love for treehouses? Because we certainly haven’t! 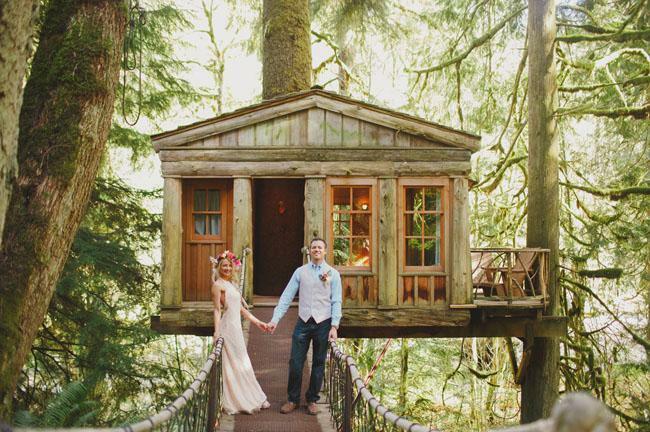 One of Washington’s best kept secrets, Treehouse Point boasts 9 rustic, hand-hewn treehouses nestled deep in the forest (one of which is a brand new addition). With access to tons of hiking trails, this is a great place to get a kickstart on your New Year’s Resolution to spend more time in nature and get moving outdoors. 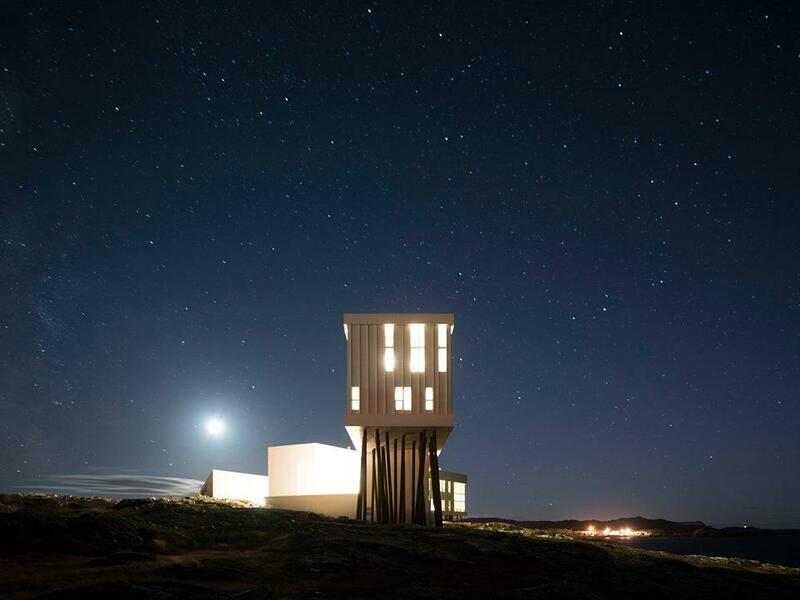 This magical little oasis sees midnight 30 minutes before the rest of North America does. A folksy island town, this community celebrates many traditions on NYE and invites foreigners to do the same. Music, poetry, a multi-gun salute, fireworks, and a Seven-Season supper paired with wines by Canadian craft winemaker Norman Hardie are just a few of the attractions to this soiree. And though you may feel like you’re at the edge of the earth at this 800-person community, the party doesn’t end until January 2nd. 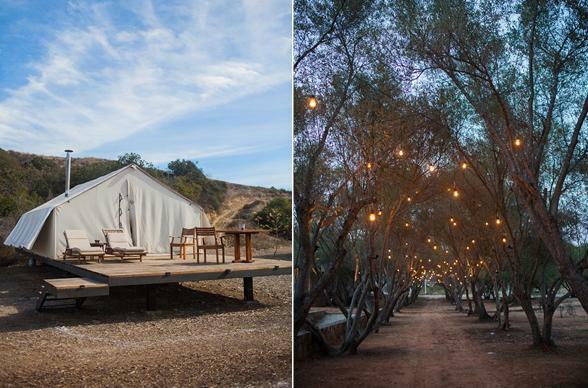 This 18-tent haven in the mountains and vineyards of Mexico has a total California vibe. If you’re struggling with the idea of being in the mountains versus being by the ocean to celebrate the new year, fear not. Cabanas Cuatro Cuatros has a litte bit of everything – desert, mountains, vineyards, and beach. Why make any more decisions this year anyway? With more emphasis on architecture and design than your typical cabana on the beachside of Mexico, this oasis is the perfect marriage of terroir, landscape and architecture. Looking to cross another natural wonder off the bucket list in 2015? 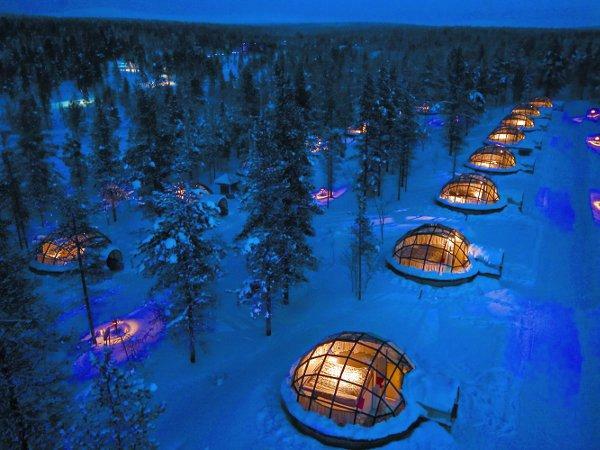 Check out these glass igloos in Finland, with clear views of the Northern Lights. It’s no secret that this is almost exactly how we picture the North Pole to look, so why not finish off the holiday season with a reindeer-guided safari through the winter wonderland surrounding this peaceful spot? Kippis! Paws Up is another one of those totally baller ranch resorts in the middle of nowhere, complete with log cabins, incredible views, and lots and lots of winter activity options. The NYE Scoop: In true New Year’s celebration form, they’re offering an all-night party that kicks off with a five course dinner, includes performances by some indie singer/songwriters from The Voice (Brian Pounds and Austin Jenckes), a gnarly fireworks show, a bonfire, and a really ridiculously large breakfast. Icing on the cake? The apartment suites have their own fireplaces and hot tubs. 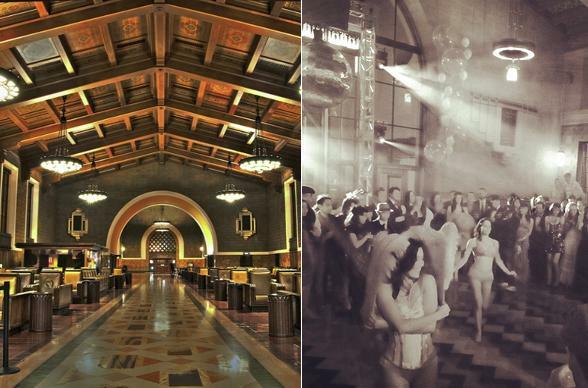 Union Station in LA will be transformed into a prohibition-era speakeasy for New Year’s Eve. The NYE Scoop: Roaring twenties costume attire or at least formal cocktail attire required, the evening should be a fun throwback in this 1930s art deco setting. Champagne will be flowing, oysters will be passed, burlesque dancers will perform, and a wild dance party will surely ensue. Tickets are still available for $150, but will likely sell out soon. 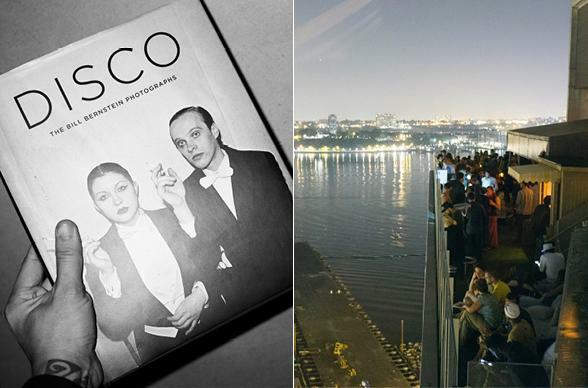 The NYE Scoop: Pluto’s First Party is the moniker for this very LA experience: a cosmic dance party on the rooftop of the Ace Hotel with Devendra Banhart spinning a DJ set, alien sightseeing led by an apparent seer of aliens, interstellar light installations, and an artist drawing future lifeform caricatures. We’re just gonna end this list on that note and let you do what you will with that one. As it turns out, 2016 can’t come soon enough! The canals of Amsterdam light up with the glow of fireworks on New Year’s Eve and there’s no better place to watch than on the bridges or on a boat. The Waldorf Astoria offers a ride on their saloon boat for NYE revelers and coursed-out dinners at their two on-site restaurants. The city is practically an open-air party, with all the major public squares in celebration mode. 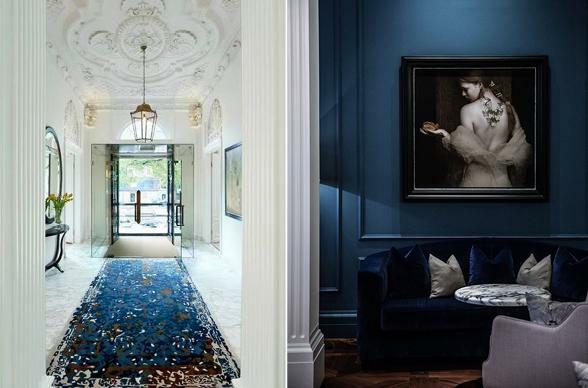 Though, we’ll admit, once you check into this gorgeous boutique hotel, you may decide to stay cuddled up in the room and celebrate midnight with a hot bath. Costa Rica, beloved for its rustic quality and love for nature, is home to another awesome jungle treehouse community! 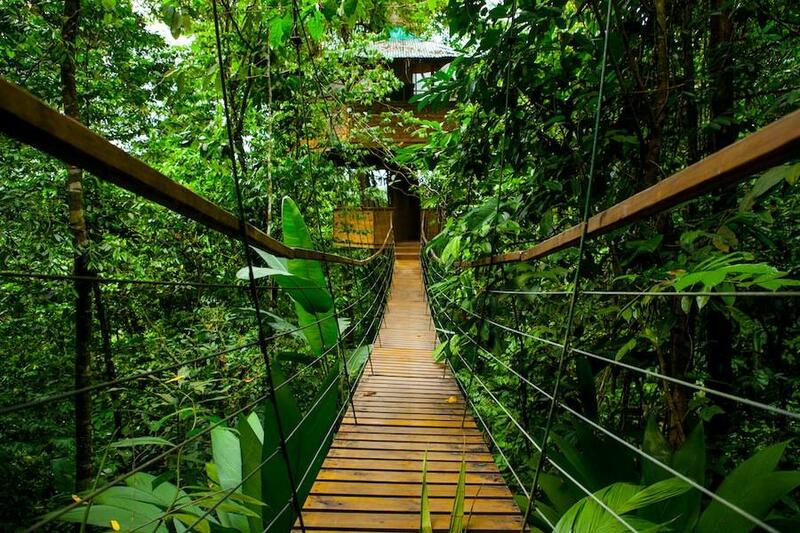 Finca Bellavista is a little collection of 9 treehouses set way deep in the jungle. Overlooking the Golfo Dolce and with close proximity to tons of hiking trails, quiet beaches, and gorgeous mountainscapes, we’re setting some major jungle goals right here. The NYE Scoop: Perhaps you can make your New Year’s Resolutions while zip lining through the trees! Through January 1, if you make a $10 donation to their Bellavista Initiative dedicated to rainforest regeneration, you’re automatically entered into a 5-night treehouse getaway raffle. If you’re really feeling wild, why not hop a plane to St. Petersburg for the ultimate Russian celebration at the Belmond Grand Hotel Europe? Plentiful in its nightlife, you’ll surely have no shortage of party opportunities in St. Petersburg. 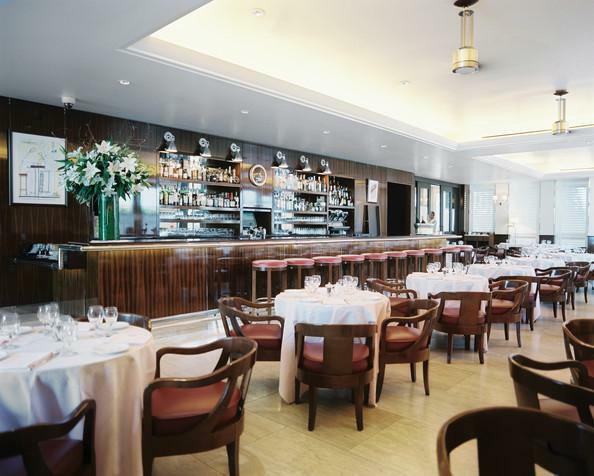 The NYE Scoop: The Belmond is putting on a gala dinner with a variety show. Think opera, ballet, tight-rope walkers, puppeteers, etc. Throw in a couple of dirty martinis and a caviar bar and now you’re starting to see the full picture of what ringing in the new year could look like. 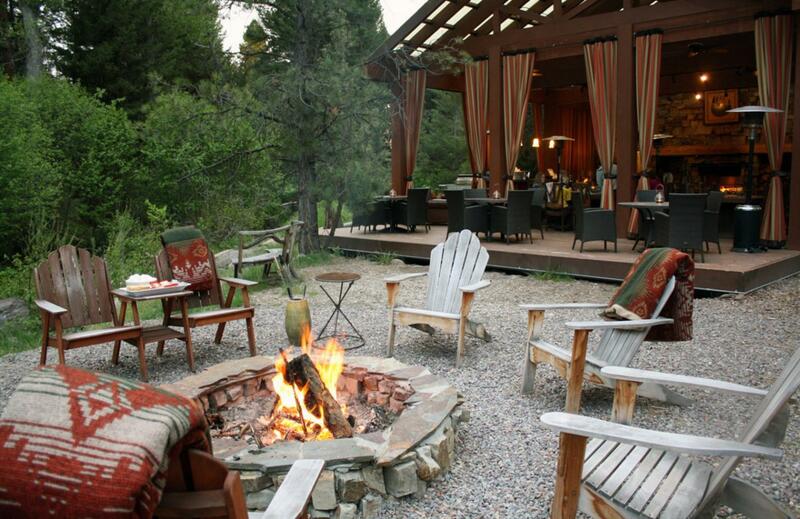 Perched atop the scenic Colorado Mountain, Aspen’s Little Nell is a favorite ski resort for many. The NYE Scoop: As everything they do is top-notch, their New Year’s Dom Perignon Party is one of the best in town. With a violinist, a DJ, and a full 7-piece cover band from LA, this dance party is sure to be on-point. Good thing the rooms at Nell are so comfortable, because you’ll definitely need a late-morning snooze before hitting the slops after this rager. Miami peeps, not to fear! You don’t have to drop your whole paycheck at a club to have a good time on New Year’s Eve. The festivities in downtown’s Bayfront Park start at 8 pm and include dancing and fireworks at midnight. In South Beach, Lummus Park on Ocean Drive hosts a party from 9 pm to 2 am, which also includes live music and fireworks. 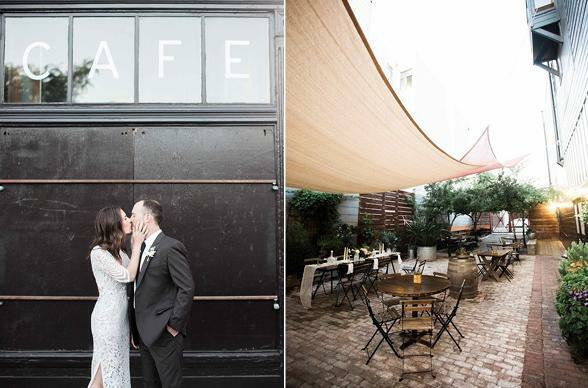 One of our favorite places is 27 Restaurant & Bar, a delicious restaurant in a cute little 1930s bungalow. Their cocktails are insane, as are the cocktails at neighbor bar The Broken Shaker, which has an amazing courtyard/pool area. Sleep at the Miami Beach Edition, if you sleep at all. Love, love, love this pool deck in Beverly Hills. Mr. C is throwing their own little late night swim and cinema night with a 5-course jazz dinner on New Year’s Eve. We’re really feelin’ the idea of spending the last night of ’15 in a room overlooking the sprawling lights of LA. This could also be a great staycation contender if you’re looking to party downtown and don’t want to deal with getting a taxi late at night. 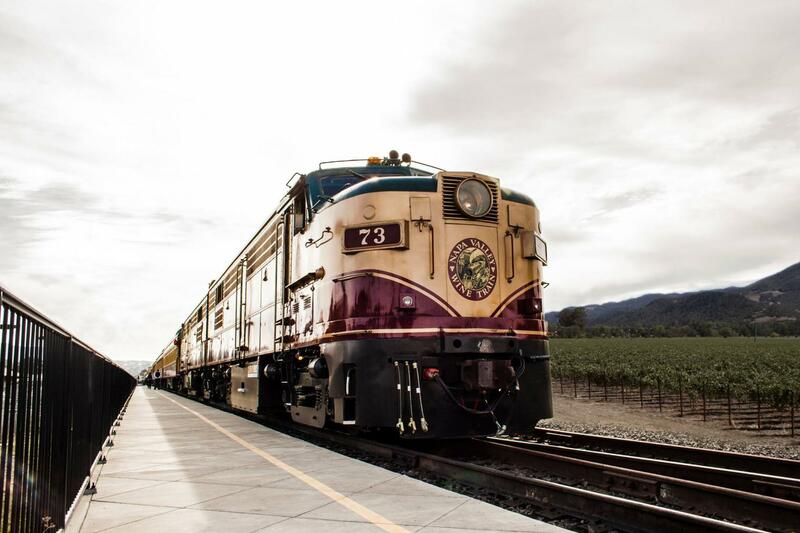 Truly a step back in time, the classic Pullman cars of the Napa Valley Wine Train are being turned into a vintage circus venue for the evening of December 31st. Enjoy caviar and champagne as you travel through the dark valleys of the country's most beloved wine region. All aboard for 2016! 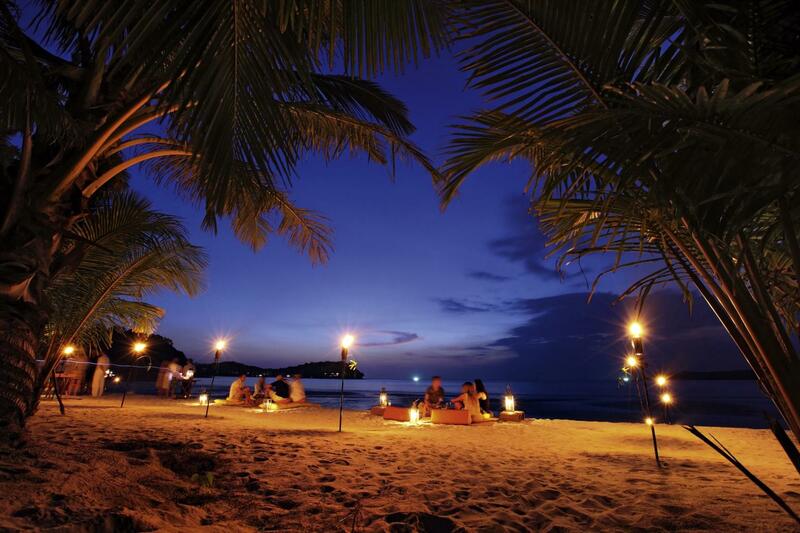 You have to love the simplicity of a New Year’s spent with friends or family, sipping champagne under the stars. Only this time, we’re suggesting you take simplicity off the table and journey out to the Maldives. 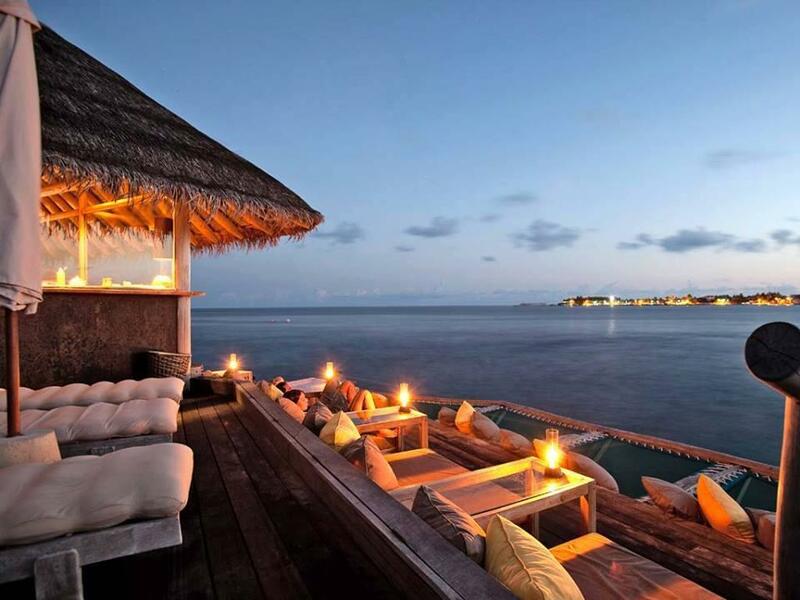 Soneva Fushi is a tropical paradise boasting luxury villas and private residences. This sweet boutique island hotel hosts a foodie-centric party to ring in the new year, keeping it celebratory but not too wild and crazy. If you’ve ever dreamed of living like a jungle king or queen, this is your spot. Thaliand’s Soneva Kiri is in that perfect setting combo of lush meets beachy, and their chic villas are absolutely ginormous (the smallest room is over 4,000 sq ft). The NYE Scoop: As if the trip alone isn’t enough of a celebration of the new year, the restaurant treats guests to a multicourse dinner followed by a DJ-led dance party and a late-night laser show on the beach. 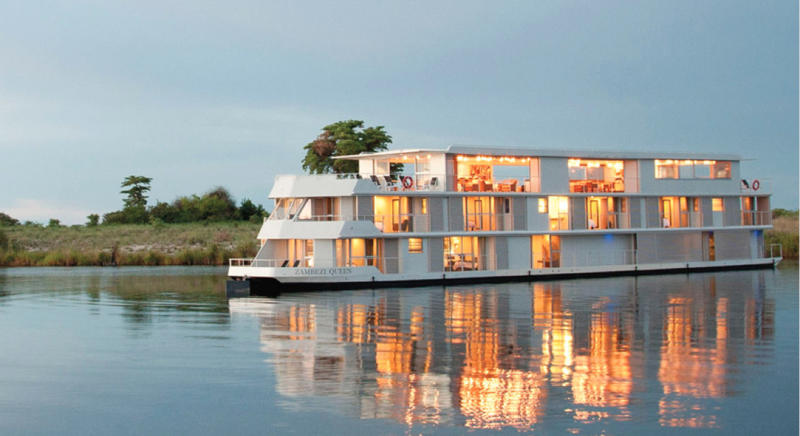 Rent out this gorgeous 14-suite floating hotel on the Chobe River and your friends are bound to remember 2016 as the Best New Year Ever. Contemporary design with clean lines and lots of white space make this boat a beaut. Think of it as a Luxury African River Safari boat, floating around the Chobe National Park, home to over a hundred thousand elephants. They say elephants are good luck, so maybe spotting a few of them will bring good fortune in 2016. Well, here’s to thinking outside the box. 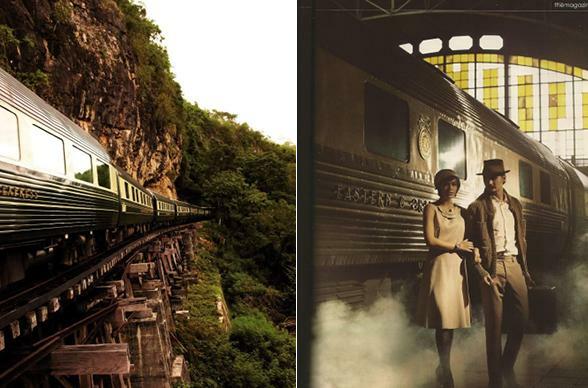 The always-impressive Belmond Hotel Group has put together a New Year’s Eve train journey from Singapore to Thailand. Stops along the way include Kuala Lumpur, Butterworth, Penang and Hua Hin, ending off in Bangkok. Plan for incredible food, life-changing scenery, and a few fun excursions along the way. Cape Town is known for a three day celebration of the new year, and the city isn’t exactly hush-hush about it. On NYE, the Victoria and Albert Waterfront hosts a concert and midnight fireworks show and a nearby carnival. Cape Town’s famous Minstrel Carnival parades through downtown, with thousands of costumed performers, floats and sculptures. 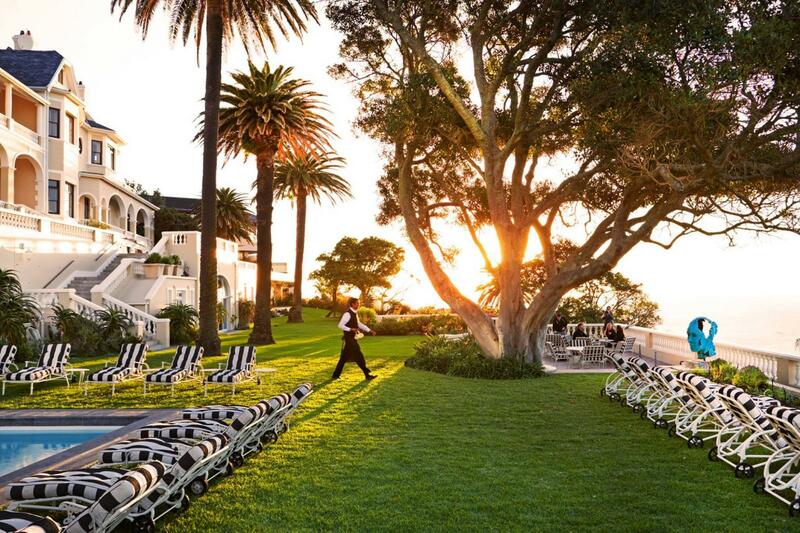 One of our favorite places to stay nearby is the Ellerman House in Western Cape, right on the beach. The views are unbeatable and the beds are glorious. We’re big fans of this North Park restaurant and can’t think of a better spot to stave off that next-day hangover than with the New Year’s Day bottomless mimosa brunch. 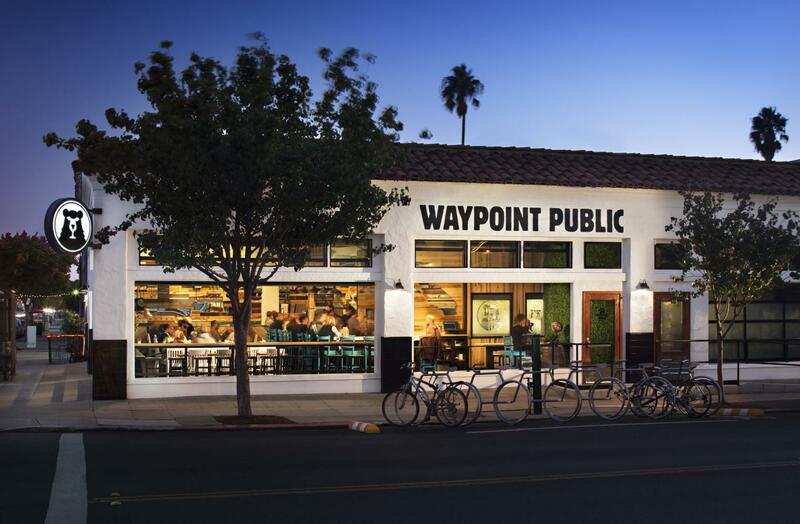 The NYE Scoop: And for those looking to grub up on New Year's Eve, they’re hosting a 4-course meal with suggested beer and wine pairings. It’s $45 for early birds and $65 for the later seating, which includes party favors, a champagne toast, and admission to the after party with live music from Manchest and Her.